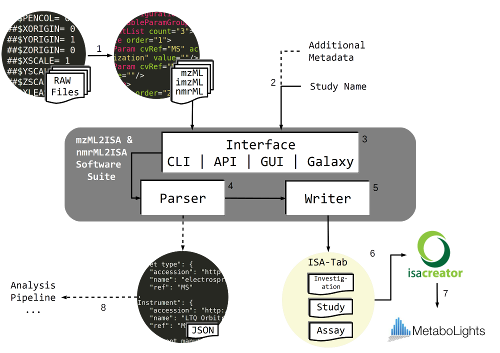 The command line applications / libraries are currently divided into the mzml2isa package (covering mzML and imzML) and nmrml2isa (covering nmrML). The graphical user interfaces are divided into mzmlisa-qt (covering mzML), imzml2isa-qt (covering imzML) and nmrml2isa-qt (covering nmrML). © Copyright 2016, Martin Larralde, Tom Lawson, Reza Salek. Revision f761d51d.